This creamy chicken dish can be made well in advance and is a great all in one dish dinner – easy enough to do two and feed a crowd. 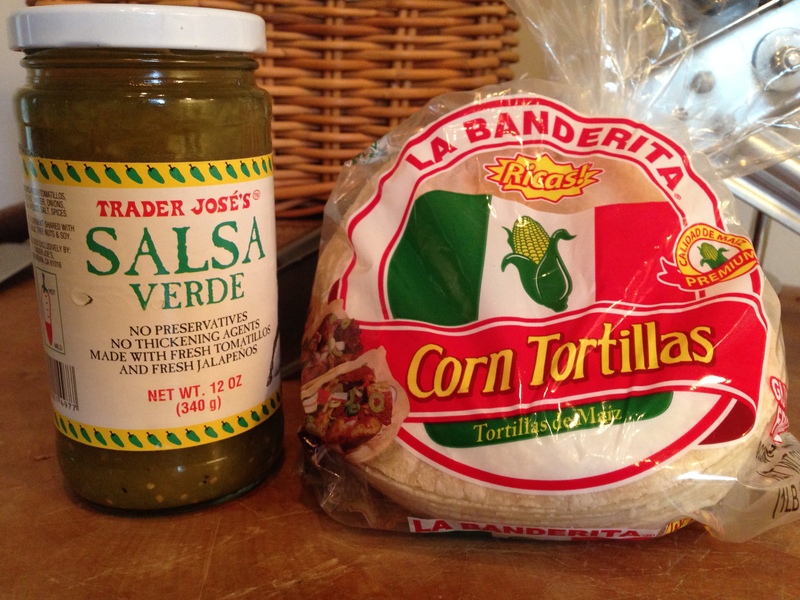 Stack the corn tortillas flat and wrap them in a damp paper towel and microwave for about 1 minute. Taking one tortilla at a time dip in the salsa mixture and cover both sides and place about 1/3 cup of the chicken in the center and roll, placing it seam side down in the prepared casserole pan – you will fit 8 lengthwise and 4 crosswise. 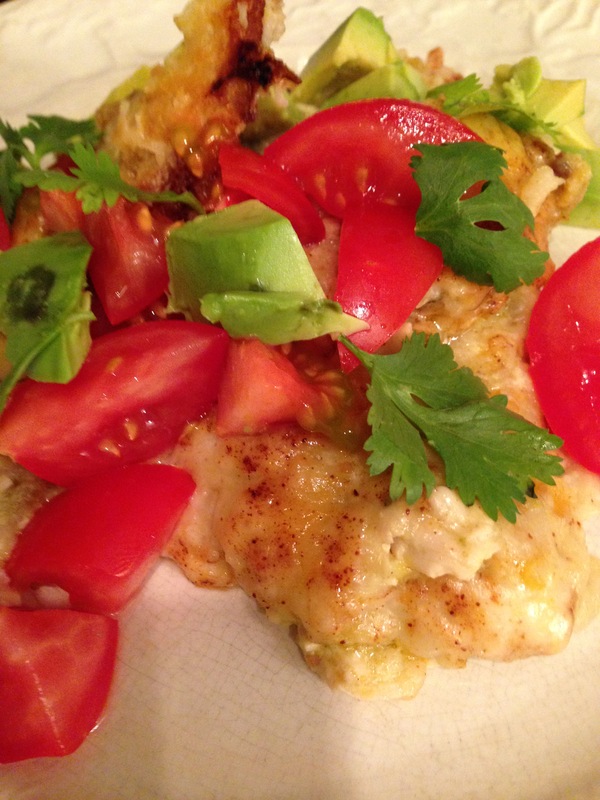 This entry was posted in Recipes and tagged chicken, Cilantro, cream, Make ahead, Tomaotes, tomatillo sauce. Bookmark the permalink.